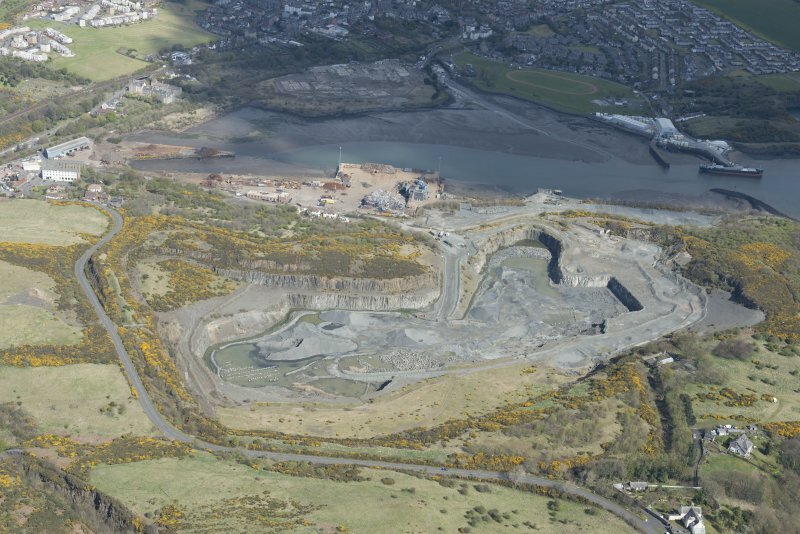 Oblique aerial view of Cruiks Quarry, looking NNE. 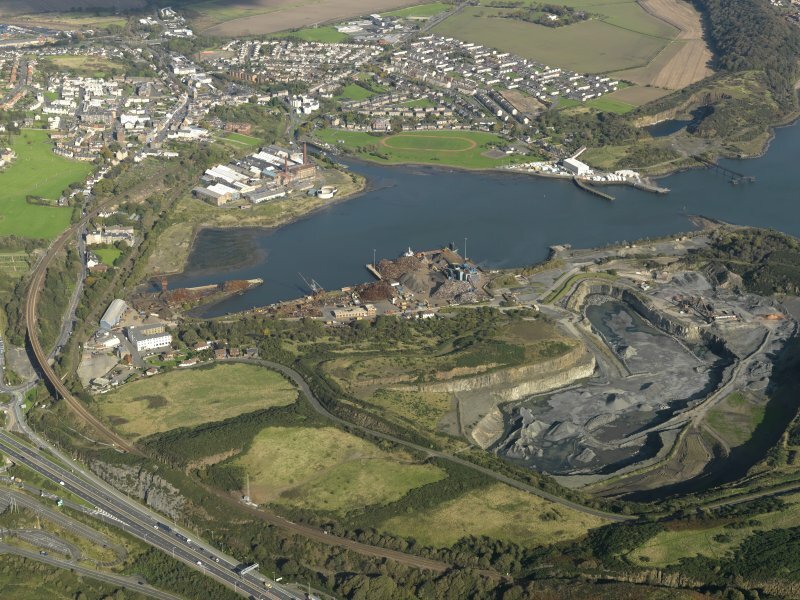 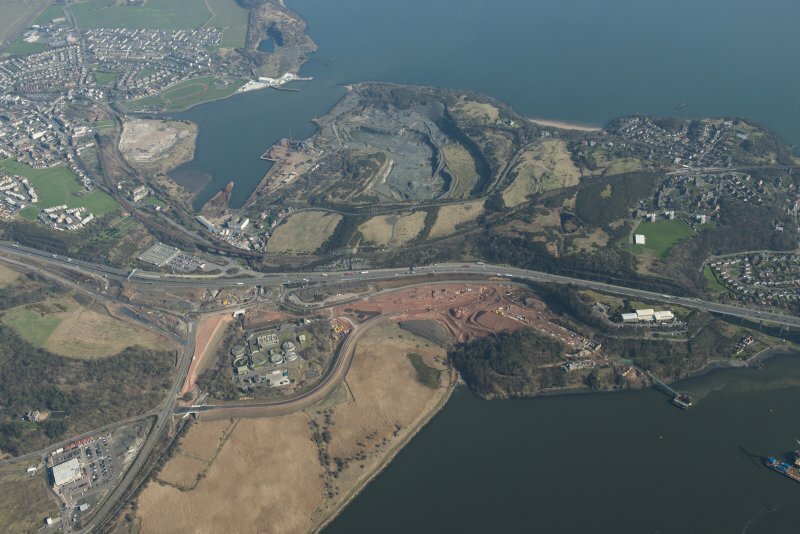 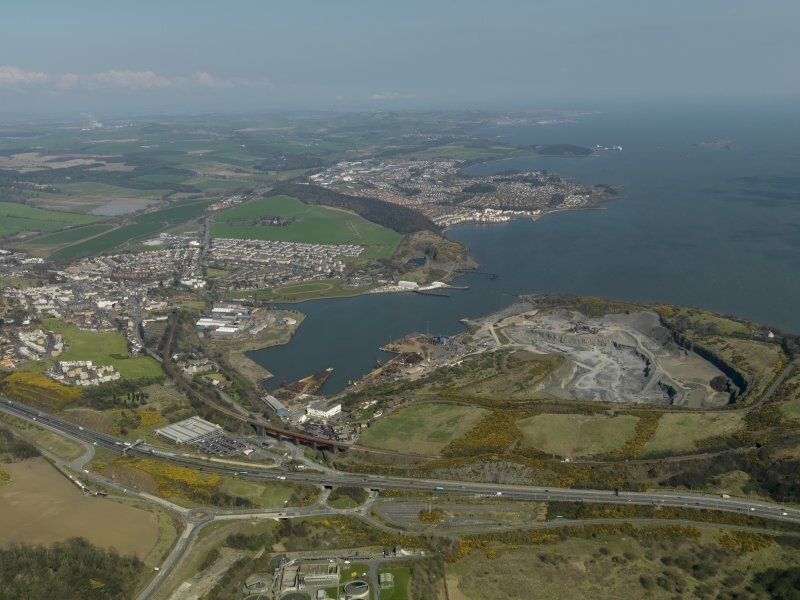 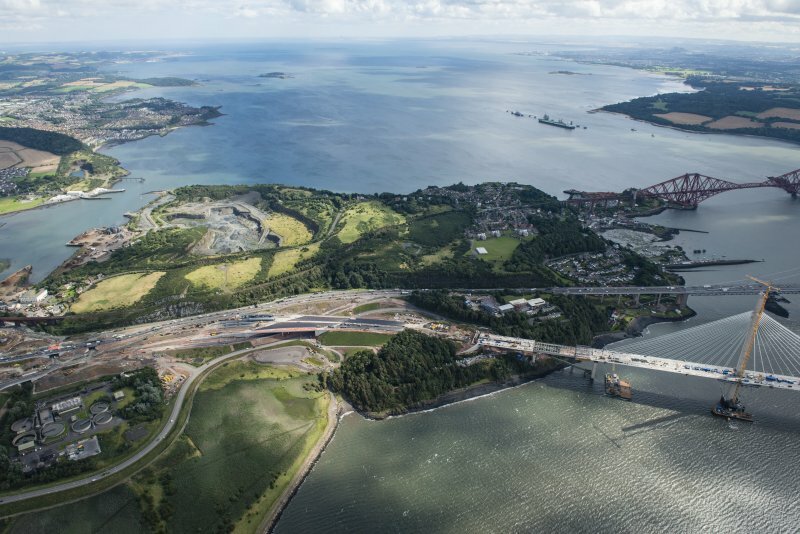 Oblique aerial view of the road works for the new Queensferry Crossing, Cruiks Quarry, Thomas Ward and Sons Shipbreaking Yard and HM Naval Dockyard in Rosyth , looking W.
Oblique aerial view of the Queensferry Crossing construction, Inverkeithing Bay and Cruiks Quarry, looking to the ENE. 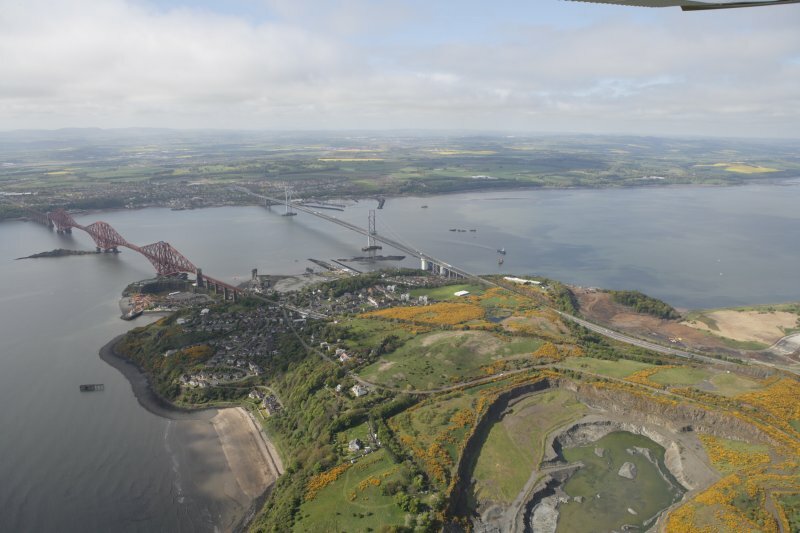 General oblique aerial view of the River Forth centred on Jamestown Golf Course, taken from the NNE. 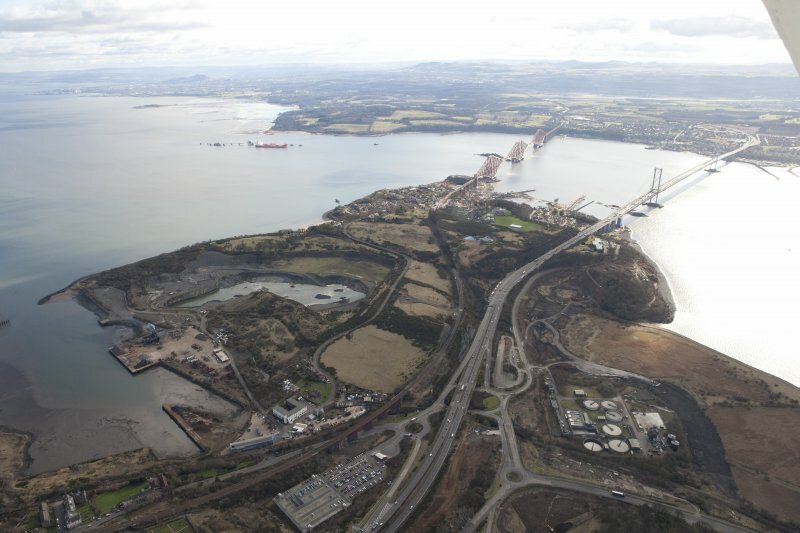 General oblique aerial view of North Queensferry, Forth Bridge and Forth Road Bridge, taken from the NW. 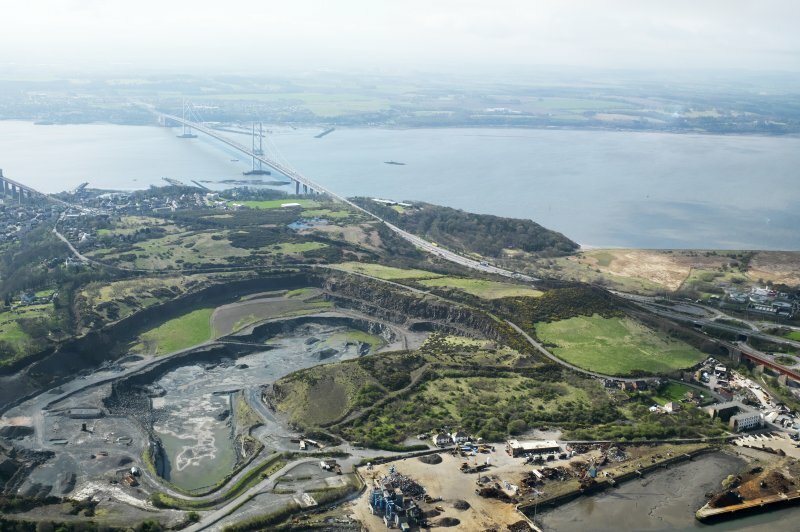 General oblique aerial view of Forth Rail Bridge, Forth Road Bridge, North Queensferry, Cruicks Quarry and construction of Queensferry Crossing, looking SW.
General oblique aerial view centred on the Inner Bay, taken from the S.
Oblique aerial view during construction. 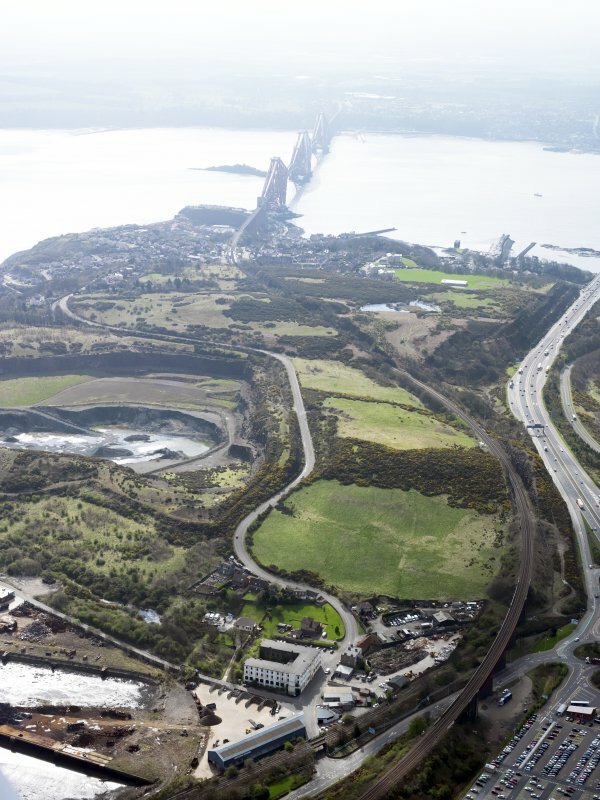 Oblique aerial view of Jamestown Golf Course with the Forth Rail Bridge beyond, taken from the NNW. 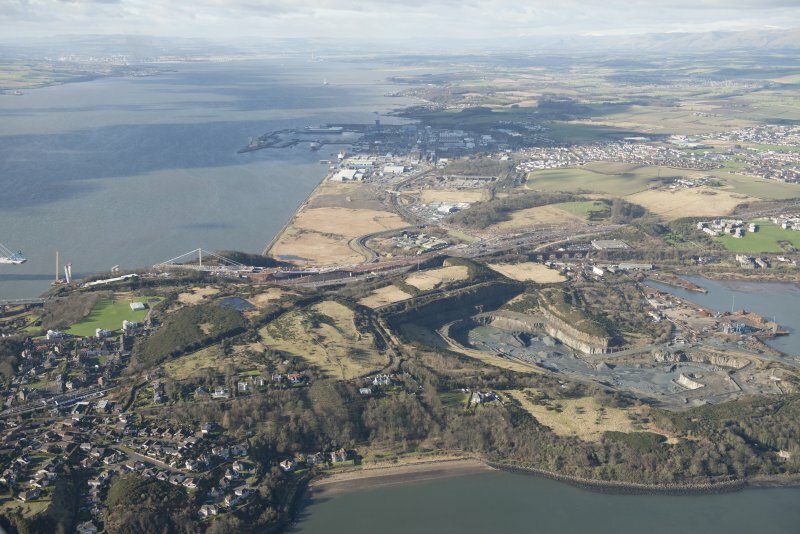 General oblique aerial view of toen with Inverkeithing Bay adjacent, taken from the WSW. 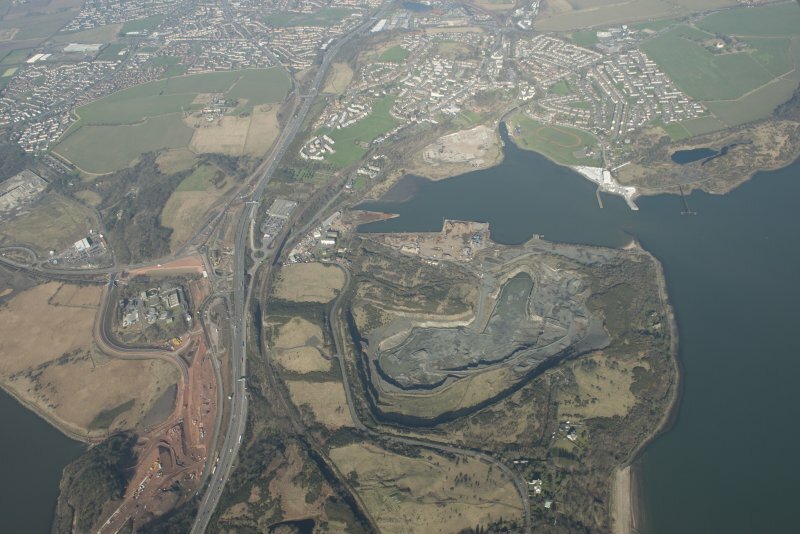 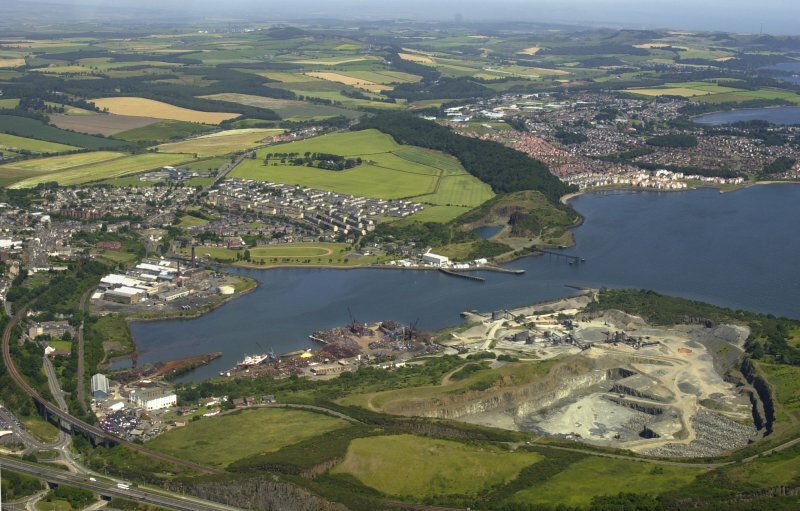 Oblique aerial view of Cruicks Quarry and Shipbreaking yard, looking SW.
Oblique aerial view looking across Inner Bay with Inverkeithing, Dalgety Bay, quarry, paper mill, naval base mansions and pier adjacent, taken from the SW.